Welcome to the Coffee Festival ? 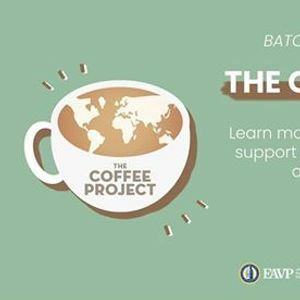 The Coffee Project is an Anti-Trafficking Coalition initiative to promote ethical sourcing in the coffee industry in order to combat labor trafficking and other rights violations. 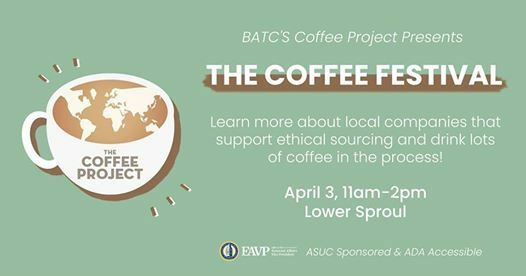 We've partnered with local roasteries, cafés, and other relevant organizations to bring you ***free coffee*** and information about how to be a conscious consumer ? We at the Coffee Project have been working hard, partnering with companies around the UC Berkeley campus and Bay area, and we've developed an app guide to ethically sourced coffee ?? 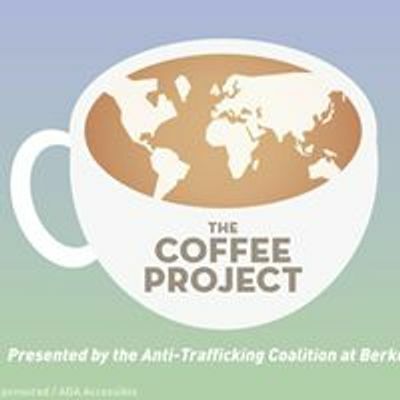 Come celebrate the app launch, get some coffee, and learn more about labor trafficking in the coffee industry!